The criminal defense lawyers at Arnesen Law represent clients charged with a wide variety of theft and fraud offenses, such as robbery by sudden snatching, burglary, and credit card theft, in jurisdictions including Sunrise, Davie, and Coconut Creek. Mr. Arnesen, a retired police officer, has handled these types of cases as a criminal defense attorney for years. In fact, he was trained alongside the FBI, DEA, NYPD, and US Customs during his time as a long enforcement officer. Now, let him use that training and experience to combat your charges in criminal court in South Florida. (a) A person who, with intent to defraud a purported issuer or a person or organization providing money, goods, services, or anything else of value or any other person, falsely makes, falsely embosses, or falsely alters in any manner a credit card or utters such a credit card or who, with intent to defraud, has a counterfeit credit card or any invoice, voucher, sales draft, or other representation or manifestation of a counterfeit credit card in his or her possession, custody, or control is guilty of credit card forgery and is subject to the penalties set forth in section 817.67(2). (b) A person other than an authorized manufacturer or issuer who possesses two or more counterfeit credit cards is presumed to have violated this subsection. (c) A person falsely makes a credit card when he or she makes or draws in whole or in part a device or instrument which purports to be the credit card of a named issuer but which is not such a credit card because the issuer did not authorize the making or drawing or when he or she alters a credit card which was validly issued. 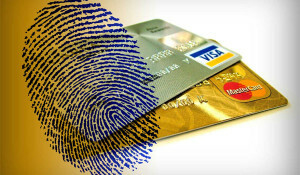 (d) A person falsely embosses a credit card when, without the authorization of the named issuer, he or she completes a credit card by adding any of the matter, other than the signature of the cardholder, which an issuer requires to appear on the credit card before it can be used by a cardholder. According to Florida law, credit card fraud is classified as a Third Degree Felony, punishable by a maximum sentence of 5 years in prison, up to 5 years of probation, and fines not to exceed $5,000. Retired police officer and current criminal defense attorney Jay Arnesen is available immediately to assist you at 754-581-8782. The initial consultation is always provided free of charge.